Deputies rescued a retirement-age couple and their family from a burning home in Ramona before sunrise Friday. 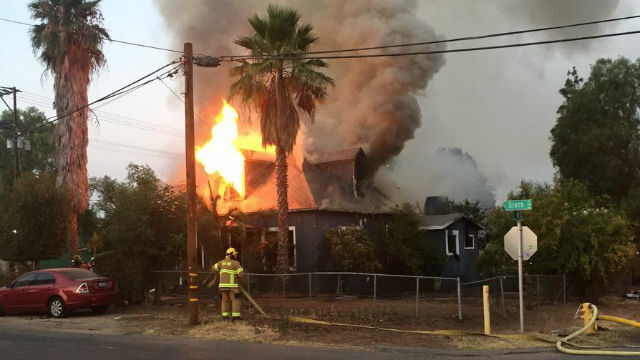 A deputy driving in the 200 block of Sixth Street at 5:30 a.m. spotted a home on fire and requested other deputies and the fire department to respond, according to Sgt. Jeremy Sheppard with the San Diego County Sheriff’s Department. Deputies from the Ramona substation arrived at the home and evacuated the residents, who were sleeping, before the blaze spread through the house, Sheppard said. Firefighters were able to contain the fire to the house and an attached structure, said Sheppard. The deputies quick action likely saved the lives of the people in the home, Sheppard said. It was unclear how many people were rescued.